From the outset we were privileged that Reb Berel Cohen שליט”א, graciously agreed to head the Kehilloh. Renowned for his expert guidance, wisdom, leadership and warmth, he, together with the Rebbetzen lead the community with care and vision. Brought up in North London, the Rov attended Yeshiva in Gateshead where he was privileged to learn under R’ Leib Gurwicz זצ”ל and R’ Moshe Schwab זצ”ל. 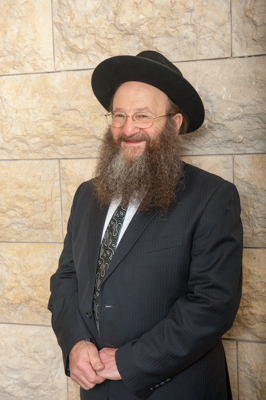 Renowned for his expertise in Halocho combined with his compassion and understanding he has ably steered the shul from its inception to the present. Always approachable by members to answer Shailos and offer guidance, he has a regular shiur schedule throughout the week, with the highlight being his Shabbos Morning drosho, offering Chizuk based on the weeks parsha.